HONG KONG, 24 March, 2014 – SCMP Group Ltd (SEHK: 583), Asia’s leading media holding company, announced today that it will acquire leading luxury lifestyle publisher Destination Macau Limited from Ignite Media Group Limited to further consolidate its market share in the South China region’s luxury lifestyle media space. As the world’s number one gaming market, Macau surpassed Las Vegas’ total gaming revenue in 2013 by seven times, and is tipped to continue its accelerating pace of growth. This is underpinned by its status as a tourism hub for China’s rapidly expanding middle class, whose consumption demand has prompted a doubling of Macau’s hotel rooms in the next 5 years. Moreover, as demonstrated by its more than US$8 billion worth of retail sales in 2013, the opportunity is extremely attractive. Destination Macau Limited publishes two titles – luxury lifestyle title Destination Macau and ultra high-end magazine DM Exclusive in English and Simplified Chinese, with both delivering high quality leisure lifestyle content, featuring topics such as luxury brands to watch out for, world-class Macau entertainment reviews, and fine-dining experiences to be had. Moreover, Destination Macau Limited also operates a growing custom publishing business to cater to the content marketing needs of luxury brands, services and retailers aiming to capture the rapidly growing population of Macau-bound jetsetters traveling from China and the world. 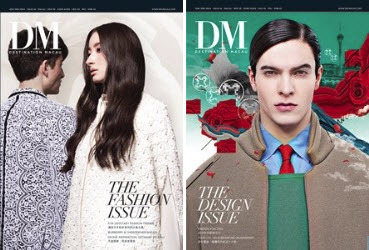 This strategic addition to SCMP Group’s ever-growing portfolio of magazines, which already boasts Cosmopolitan, Elle, Esquire, Harper’s Bazaar, PEAK and STYLE, further reinforces its dominant position in the luxury lifestyle segment. Importantly, it gives SCMP Group the key to enter Macau – China’s entertainment tourism capital, and the world’s fastest growing gaming market. “The combination of Destination Macau’s high quality content, and its native base of affluent readers from Macau, China and the world makes this acquisition a perfect fit into the SCMP Group’s family of luxury titles, and adds to an even more formidable offering to our network of top tier advertisers”, said Ms. Elsie Cheung, Chief Operating Officer of SCMP Group. Moreover, “with Destination Macau’s strong brand equity and established market presence in Macau, it presents a fertile opportunity for further growth when coupled with our award-winning expertise in multimedia magazine publishing, advertising, bespoke events and custom publishing”, continued Ms. Cheung. “Advertisers today, especially the sophisticated top-tier brands that we regularly work with, are increasingly searching for cross-platform opportunities that allow them to communicate to their target audience along more touch points. With the SCMP Group, we are confident Destination Macau Limited has found the perfect home”, remarked Ms. Carrie Leung, General Manager of Ignite Media Group. “Ignite has built Destination Macau and Destination Macau Exclusive into Macau’s premier luxury publishing titles; and knowing SCMP Group’s capabilities, we are confident they will be able to take this business to the next level”. “We look forward to further collaboration and partnerships as Ignite accelerates its market-leading platforms – Macau.com, Qoos.com, MacauHR and Aomen.TV, together with our portfolio of services to continue supporting the growth and diversification of the new Macau”, concluded Ms. Leung. Destination Macau Limited will operate under SCMP Group’s management from late March onwards, and Destination Macau will maintain its popular editorial direction, and its distribution network within 5-star hotels and resorts, airlines, dedicated direct-to-Macau ferries, and most importantly, its direct distribution to high net-worth individuals in Macau. Ignite Media Group (http://www.igniteasia.com) is Macau’s premier media and services conglomerate with market-leading positions in online, out-of-home, print and services enterprises dedicated to promoting Macau as Asia’s #1 entertainment destination. Ignite includes market-leading media brands across multiple verticals: Macau.com (Macau’s #1 online travel and destination marketing platform), Qoos.com (Macau’s #1 Chinese language social media community and C2C listings platform), Aomen.tv (Macau’s #1 online TV production company), MacauHR (Macau’s #1 integrated online jobs listings and recruitment / corporate services firm), New Macau Box Offices (Macau’s #1 show ticketing company), EC-Ad (outdoor media) and Ignition (media agency & advisory services). SCMP Group Limited (SEHK: 583) is a leading newspaper and magazine publisher in Asia. Its flagship publication, South China Morning Post, is Hong Kong’s internationally recognised English language newspaper and has the city’s most affluent and influential readership. First published in 1903, the newspaper has developed an enviable reputation for authoritative, influential and independent reporting on Hong Kong, China and the rest of Asia. Available in print, iPad™ and online through scmp.com and e-reader editions, South China Morning Post reaches a global audience with daily breaking news, analysis and opinion, multimedia articles and interactive forums. The South China Morning Post received 65 awards in 2013 for excellence in editorial, marketing and technical capability. Other titles in the Group include the Sunday Morning Post, the Chinese editions of Cosmopolitan, Harper’s Bazaar, ELLE, ELLE Men, Esquire and CosmoGirl!, PEAK, HK Magazine, The List, Where Hong Kong, and Where Chinese玩儿.